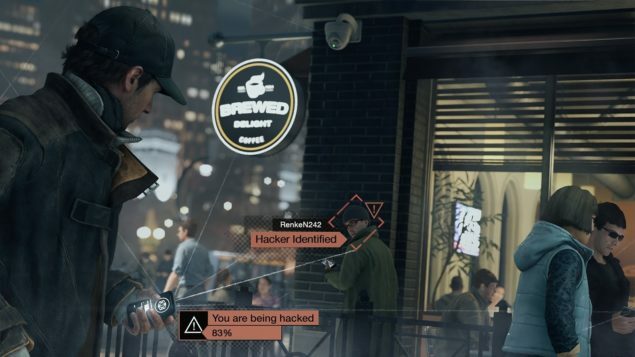 Watch Dogs’ launch is still over a week away and leaks from the game have already started to flood the gaming websites and discussion forums. Videos and screenshots from the beta version of the game are also contributing in the library of leaked in-game media content but most leaks are certainly coming from sources that have already got their hands on the complete version of the game. Ubisoft’s upcoming highly anticipated and most awaited open world action adventure video game, Watch Dogs, is about more than a week away from its worldwide launch, but it looks like plenty of fans are already sitting next to their display units and enjoying the game. Leaked Watch Dogs media content including gameplay videos, screenshots and GIF’s are emerging from various corners of the internet. Almost all Watch Dogs Leaked media content that got our attention was from consoles version of the game, specifically from PlayStation 4. A couple of days ago we shared some leaked GIF’s, webm’s and even a leaked 4 minute video of Watch Dogs which was most certainly running on the PlayStation 4 that was plugged into the HDMI in port of an Xbox One. The problem is that almost all of the Watch Dogs gameplay videos that have been leaked until now are under a curse of compression. Twitch Stream proved to be origin of the leaks and so viewers did not enjoy the gameplay footage in high definition. Finally now, we can enjoy some Watch Dogs gameplay footage from PlayStation 4 version of the game in full HD 1080p Resolution. Spotted on Dailymotion by Gearnuke is a set of two Watch Dogs gameplay videos running on PlayStation 4 in 1080p resolution. Without further ado, both gameplay videos can be viewed below. The gameplay videos can also be downloaded from here. Watch Dogs is foreseen to be one of the biggest video game titles ever developed by Ubisoft. The developer itself is really pleased with the game and expects highly from it. It looks like the game is going to be an immense win as it has already set a new record for the most pre-ordered Ubisoft’s new IP. Watch Dogs is set to launch on May 27, 2014 for Microsoft Windows, PlayStation 4, PlayStation 3, Xbox One and Xbox 360. Wii U version of the game will arrive later this year. Stay tuned for news about Watch Dogs.